Thank you for visiting RisenInchFraser.com. Our firm has been practicing exclusively criminal law in downtown Oshawa from the same location for the past 34 years. If you, or someone you know, is charged with a criminal offence and needs advice or representation please feel free to call our office at any time. If you wish to speak to us on the phone or see us in person, we do not charge for the initial consultation. This website will set out our background and experience in dealing with all matters of criminal charges over the past 34 years. 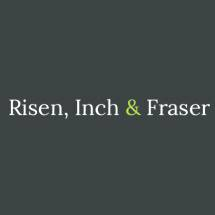 Our goal at Risen, Inch and Fraser is to assist you in obtaining the best possible result in your case. We hope to be supportive, helpful and informative during this difficult time. For emergencies or if you are under arrest, we are on call 24 hours a day, seven days a week with no exceptions.